Next week; Spain, the Basque coast to be exact. First Bilbao, then San Sebastian and then Pamplona where there will be no running bulls – that’s in July. In 1937, Franco’s troops pushed the Republicans back along the coast where they tried, and failed, to keep Bilbao. Some British ships took some of the Republican army on board. But when they were told that they would be well treated by the Nationalists, they shipped them back to shore. Franco went back on his word and all of them were executed. 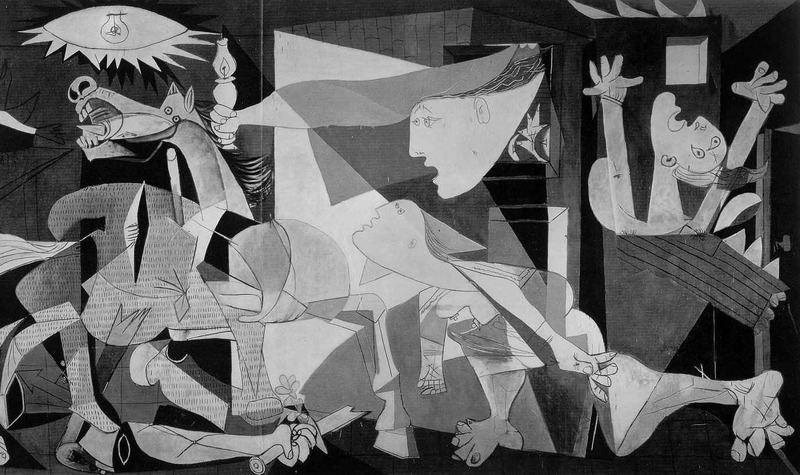 We’ll finish up at Guernica, the small village that was bombed by the German Luftwaffe and commemorated by Picasso. I’m about half way through my Spanish novel and I want to go and take in the feel of the place, the smells, the sounds etc. My character is just about to cross the Pyrenees, so the timing is good. Wish I had longer than three days but hey, it’s good to be able to go at all. Just hope it doesn’t rain. Will post some pics when I get back. 18 Mar	This entry was published on March 18, 2011 at 1:10 pm and is filed under Uncategorized. Bookmark the permalink. Follow any comments here with the RSS feed for this post.